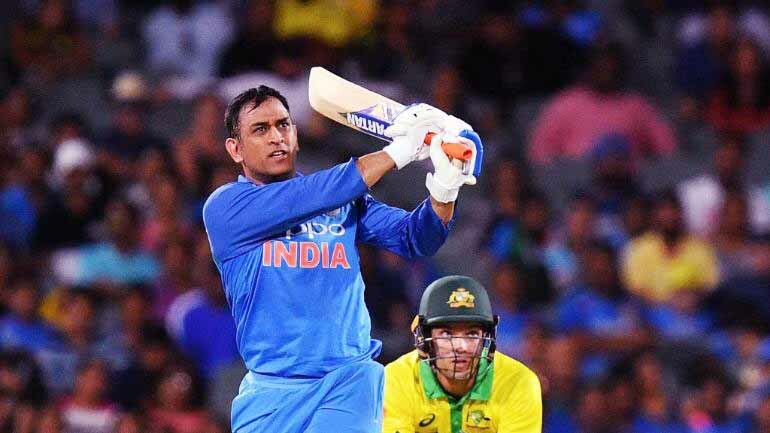 MS Dhoni huffed, puffed and brought the house down to steer India to a seven-wicket win in the decider at the MCG and seal their third one-day series – and first bilateral – triumph in the country, after Yuzvendra Chahal claimed six wickets to keep Australia to 230 in 48.4 overs. Jadhav’s 61* from 57 balls was an equally effective innings, one punctuated by some brilliant running and ability to bring out the boundary shot when Dhoni showed signs of flagging. Kohli made 46 off 62 balls, restraining himself against some disciplined pace bowling while setting himself up, as he so often does brilliantly, to finish the chase with a flourish. It did not happen, because Jhye Richardson found his edge in the 30th over. For the third time in the series, Richardson had Kohli’s number. Tellingly, Kohli faced just 26 balls during a stand that spanned 13.4 overs with Dhoni. At Kohli’s exit, Dhoni was 35 off 55 balls with India needing 118 from 20 overs and their run-rate at 3.76. India scored 16 runs from the next four overs, leaving them to get 102 from 96 balls. Aaron Finch shuffled his bowlers, the quicks repeatedly bowling short to cramp Dhoni. Jadhav found the gap in the off side with a back-foot slap for four off Billy Stanlake, while Dhoni defended and deflected. 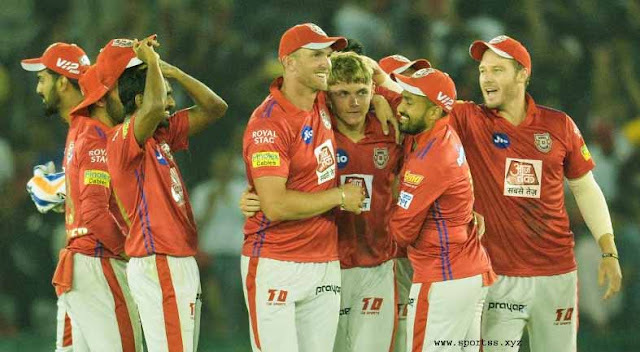 Adam Zampa, the recalled legspinner, bowled very smartly to allow four runs in overs 33 and 35 combined. Jadhav targeted Stoinis, hitting him for two fours. He and Dhoni ran three twos in three overs. Singles began to flow easier. Australia used a review when Dhoni played back and across to Richardson, but replays showed height was the issue. A boundary to each batsman in the span of five balls reduced the asking to 33 from 24 balls, which became 27 off 18. Jadhav sprawled to get his bat in after pumping two following a very tough drop by Finch at mid-off when Dhoni charged Stoinis, and when Dhoni moved to 80 with a swatted a full toss to fine leg for four next ball, India’s mood was lifted higher. Jadhav steered four past third man to raise his half-century off 52 balls and finished the job without fuss to make it three unbeaten ODI innings in a row. But make no mistake. This was a win set up in the field, with Bhuvneshwar Kumar setting the tone with another crippling new-ball spell and Chahal, making his first appearance in the series, claiming career-best figures. Chahal’s 6/42 is the best bowling by a spinner in ODIs in Australia, beating the 5/15 that India’s current coach Ravi Shastri claimed in 1991. Shami, though wicketless, was equally frugal in conceding 14 runs in his first five overs of which 24 were dot balls. 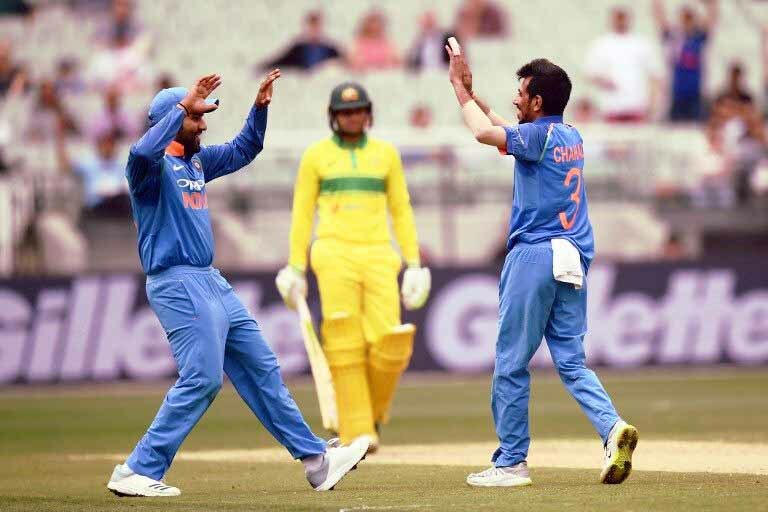 Usman Khawaja and Shaun Marsh struggled initially as Jadhav, playing in place of Ambati Rayudu, and the debutant Vijay Shankar tied them down with tidy lines. Marsh, in particular, had a tough time playing Jadhav initially, and on 11 was dropped by Dhoni when feeling for non-existent turn. Chahal’s introduction was stunning. Marsh (39) charged out and missed the ball completely, with Dhoni pulling off a swift stumping. Three balls later, Chahal duped Khawaja (34) into popping back the simples of catches off a leading edge when trying to nudge the ball off his pads. The slowness of Chahal as compared to the wristspinner he replaced, Kuldeep Yadav, was the difference in both dismissals. In his fourth over, Chahal flighted one on leg stump, got some turn and squared up Stoinis who edged to slip where Rohit held a diving catch. Maxwell counter-punched by hitting Jadeja over midwicket and Chahal for two fours in an over, but as soon as Kohli went back to pace the wicket came. Hurried into a cramped pull shot by a well-directed short delivery from Shami, Maxwell took his eyes off it and top-edged towards fine leg where Bhuvneshwar held a superb catch diving forward. A solid 58 off 63 balls from Peter Handscomb proved the highest score of Australia’s innings, which ended with Chahal taking two at the death and Shami ending the innings by bowling Billy Stanlake, thus moving to 99 ODI wickets.